Droneislife is proud to be able to offer sponsorship to both budding and experienced FPV pilots. As a growing competitive sport, we feel that the very best way to further the reach of FPV racing is to mix sheer experience of the circuit with new blood, giving a hand up to exciting talent with the demonstration of professionalism and capability. Additionally, we are always on the lookout for the unusual talent, the freelovin' freestyler and the serious "ride or die" racer. 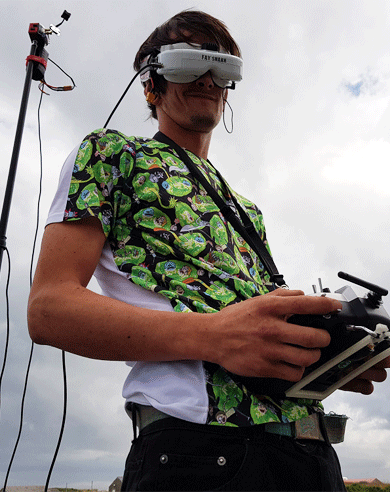 If you've spent a reasonable amount of time in FPV, chances are you'll know James. Not only is he the 2015 UK champion but he is an absolutely outstanding ambassador for the sport and a true gent. His exceptional skill and talent is matched by his patience and friendliness on the racing circuit; he has helped many a fledgling racer find their wings. James has a range of sponsors, is a staple part of the Gemfan racing team and Droneislife is honoured to be able to stand alongside him. JAB1a's preferred propellers are the Gemfan Windancers or Flash props. You can find out more about JAB1a by visiting his YouTube page HERE and Instagram HERE. The newest and youngest member of the Droneislife Sponsored Pilots stable, this gurrrlll can flyyy! 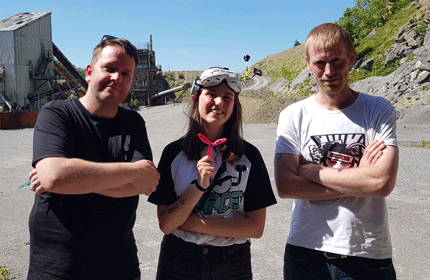 A regular attendee at every drone event going and a Bando proficionardo, Kelsey is moving up through the British ranks faster with every event. Active on both Facebook and Instagram, she is attracting a large following and we reckon shes headed for glory! 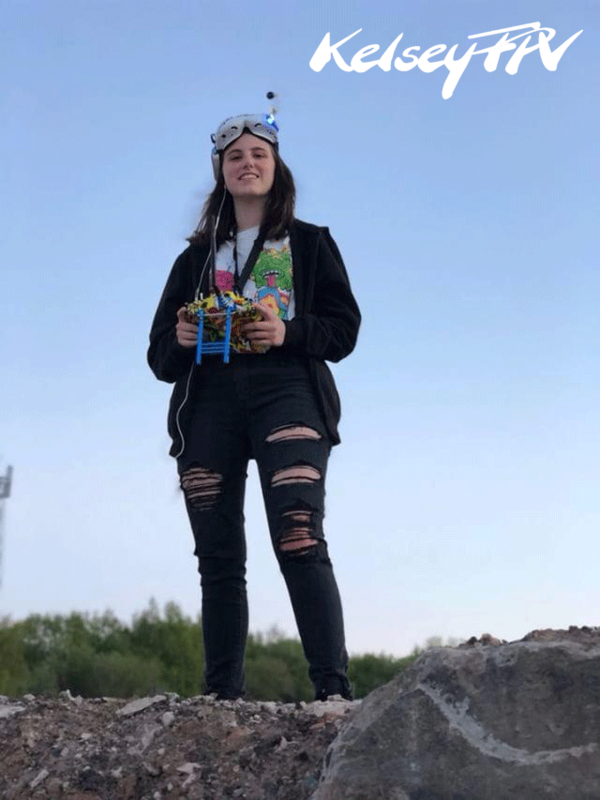 We've kitted Kelsey out with the very latest and greatest Brother Hobby Rainbow motors, 2306 2450kv and she LOVES THEM! 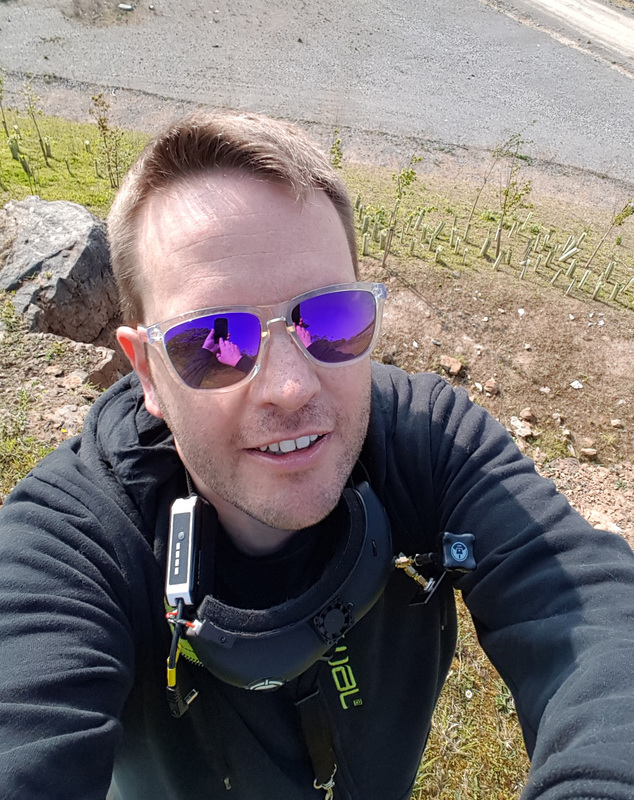 SliderFPV has been flying for a little over 18 months and has developed his freestyle and racing experience like all other pilots; with lots of crashing and plenty of replacement props. A keen freestyler who loves the hobby and is always eager to help people get into FPV, Slider will be looking to race competitively in the 2018 season. Slider says that he is a fan of the Gaui straps "long enough to fit round a GoPro and sticks like ****". Sliders preferred propellers are the Lumenier Butter Cutters for racing and Gemfan Flash 6042s for freestyle six inch fun. You can find out more about Slider by visiting his YouTube page HERE and don't forget to follow SliderFPV on Instagram! We are absolutely buzzing to introduce SessionFPV as the newest member of the Droneislife team. Toby joined the RC world around 3 years ago, flying large nitro helicopters capable of some really impressive moves. But of course, then he discovered FPV and never looked back! This transition means that he brings with him skills most of the community have rarely seen. Don't underestimate him as a fast and accurate racer; we've seen him in action, but Droneislife was looking for a freestyler with gravity defying skill, and in Toby we found one of the very best! Over the coming weeks and months we hope to be showcasing his exceptional talent on our social media, to lead the FPV freestyle charge! In the meantime, have a look at Sessions YouTube page HERE and don't forget to follow him on Instagram!